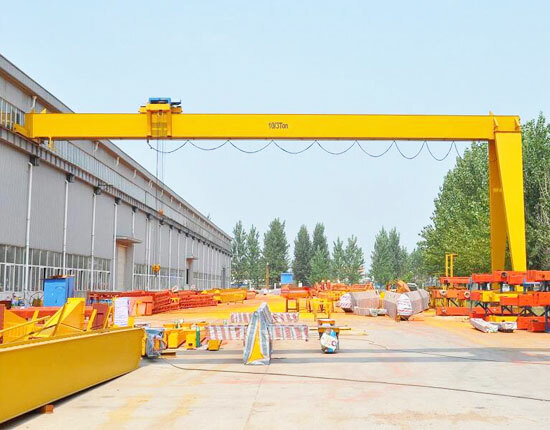 Hoist gantry crane brings a new level of efficiency and productivity to your business, widely used in various indoor and outdoor workplaces, such as construction, railway, highway, port and shipyard. As a critical part of material handling system, the electric hoist gantry crane can move within the working areas easily wherever you need it, providing great support for your production lines. We have a variety of overhead gantry crane for sale, and if you have any need, contact us online now. The hoist gantry cranes produced by Ellsen come in a large variety of types and models so as to suit your wide range of applications. Depending on your specific requirements, we will help you design the best gantry lifting system. 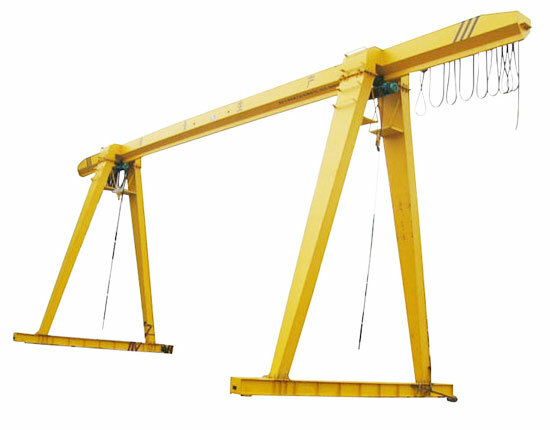 MH type single girder gantry hoist crane is the most common type of small and light duty gantry crane, designed for general use. The single girder crane allows you to lift several tons to dozens of tons, such as 3 ton, 5 ton, 10 ton and 15 ton, providing significant efficiency for your factories. When it comes to gantry crane hoist, different models are available, including CD, MD and European standard electric hoists. MG type double girder crane allows you to handle large and heavy duty objects for your workspace, providing highly efficient and safe lifting power. This heavy duty lifting model offers you a range of lifting capacity, including 25 ton, 30 ton, 50 ton, 100 ton and even beyond. 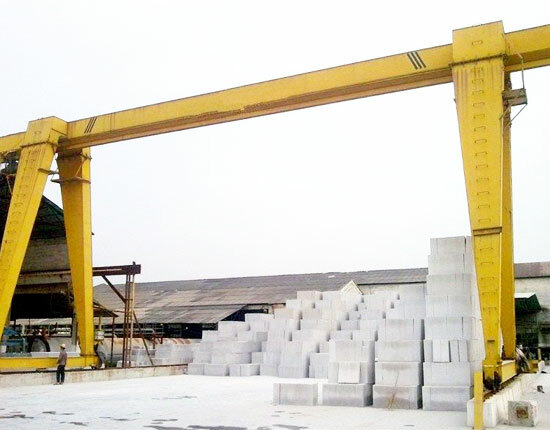 In addition, U frame gantry crane is designed and built by our company to help you lift and move large and bulk items. Portable gantry crane is a perfect lifting solution for various lightweight lifting applications, allowing you to position it anywhere within your working areas easily and readily. 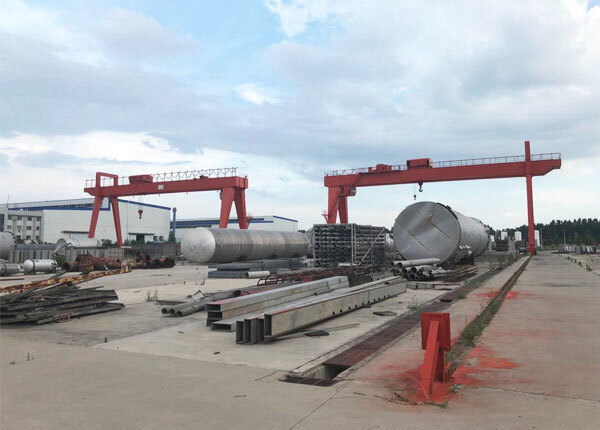 With respect to different working occasions, environmental conditions and loads to be lifted, we can offer you multiple types of portable gantry cranes, such as fixed gantry crane, adjustable gantry crane, aluminum gantry crane and steel gantry crane. 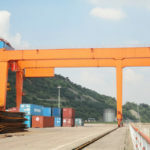 We also have other types of gantry crane with electric hoist for you to choose from, including dual hoist gantry crane, trolley gantry crane, truss gantry crane, semi gantry crane, cantilever gantry crane, rubber tyred gantry crane and rail mounted gantry crane. If you need a gantry crane to lift your heavy loads, Ellsen hoist gantry crane can be what you need. 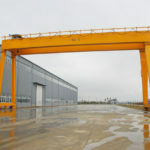 Why Use Hoist Gantry Crane? The hoist gantry crane provides great power for various lifting needs, thus bringing high production in your facility. The electric hoist gantry crane can provide mobility and convenience for your lifting movement as well as safe operation. The gantry crane provided by our company is with superior quality and solid construction, offering you high durability and reliability. Our gantry crane and hoist can be custom designed and built to meet your special lifting needs or heavier lifting applications. The gantry hoist crane can accelerate the operations of your production lines, saving a great deal of time and money for your business. Gantry crane and hoist are both efficient lifting systems, which can help you handle heavy duty materials quickly and safely. However, they differ from each other in many ways. As an essential part of gantry lifting system, the hoist is a simple device used to lift heavy loads vertically, so it can only move in one direction. The hoisting mechanism can be operated either manually or electrically. Nowadays, electric hoist is the most commonly used type in many industries, such as manufacturing, construction, railroad and highway. With regard to working environment, work duty and ease of use, we supply a handful of electric hoists for you to choose from, including wire rope hoist and chain hoist. In addition, the hoist can be mounted on a trolley which runs along the main girder, greatly expanding the lifting coverage. The gantry crane is a more complicated machine with the ability to move loads in multiple dimensions, which means you can raise and lower heavy loads, make the hoist trolley move along main beam and make the crane itself move in your facility. Incorporating several simple lifting and running mechanisms, the gantry lifting equipment can get your material handling work done much easier and faster. 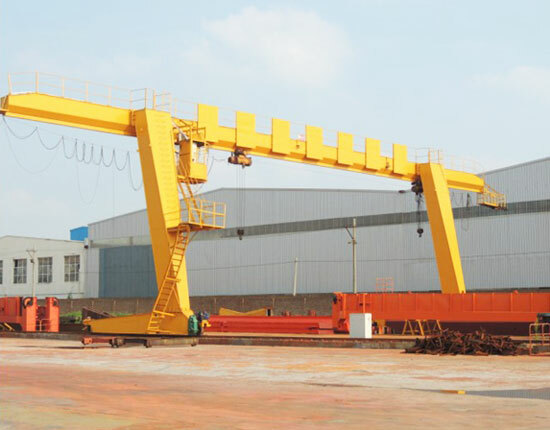 There are a variety of gantry crane types for your choice, such as single girder gantry crane, double girder gantry crane, rail mounted gantry crane, rubber tired gantry crane, indoor gantry crane and outdoor gantry crane. The type of gantry crane will determine what it will do for you, so you can simply choose the type that meets your requirements. 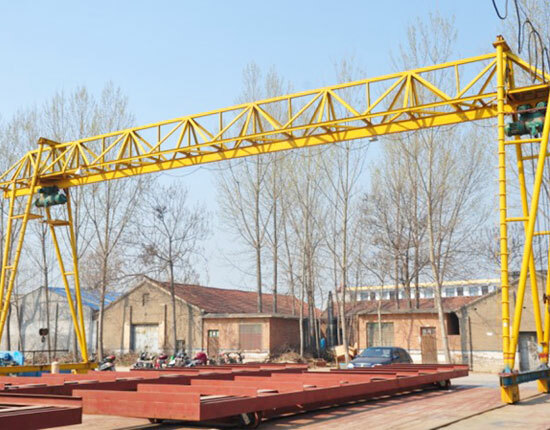 Ellsen machinery is one of the most seasoned gantry crane manufacturers and suppliers in China, and provides a range of industrial gantry cranes to suit your lifting needs. We also provide other types of lifting equipment including overhead crane, jib crane, electric hoist, construction winch and marine winch as needed. Our products have been exported to over 80 countries and regions, realizing a stable growth year by year. 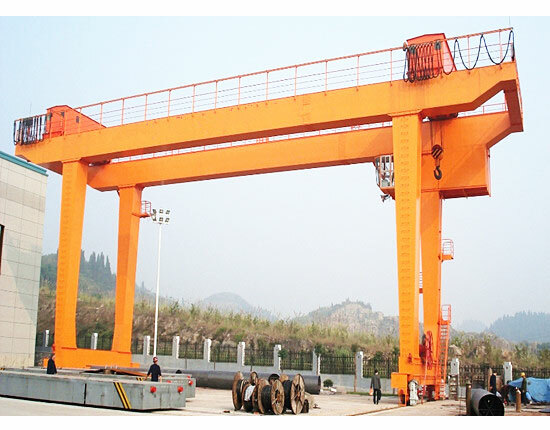 The gantry crane produced by our company has been approved by CE and ISO certification. By providing quality products and reliable services, we have established a solid relationship with the most of our customers. We offer a systematic gantry crane service to our clients, encompassing equipment design, manufacturing, delivery, commissioning, installation and maintenance in order to simplify the whole selection and order process for them. Our customer service staff are ready to solve any problems you may have and assist you to make the smart decision. In the whole service process, we always adhere to the principle of customer first and quality foremost and do our best to satisfy them to the utmost. 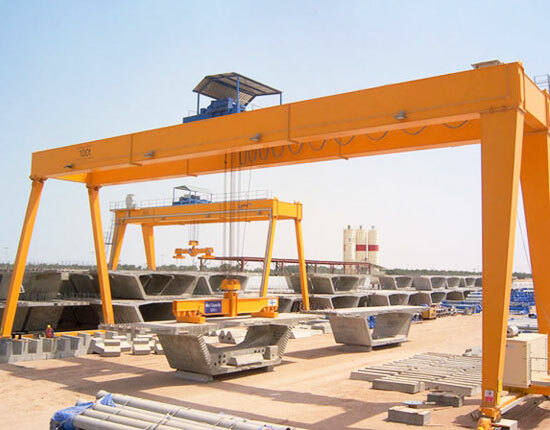 If you have any need for hoist gantry crane, please contact us and order now! We will offer you the best lifting solution with affordable price.